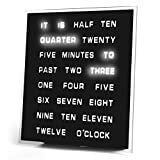 The cool new LED Word Clock does away with the digital numbers and the analog minute and hour hands and uses highlighted words to display the time. 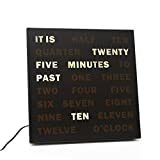 This unique and decorative text-based clock hangs on the wall or sits upright on its built-in stand and gives the time in five minute increments like 9:45 would be displayed as It is a Quarter to Ten. 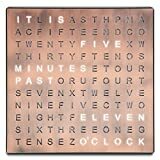 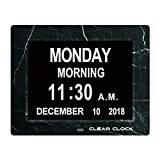 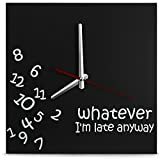 Perfect for the home, office, or anyplace you want to easily read the time in a fun way.